It’s almost the fourth of July! Time to get the red, white and blue out! My daughter loves to dress up for the neighborhood celebration. 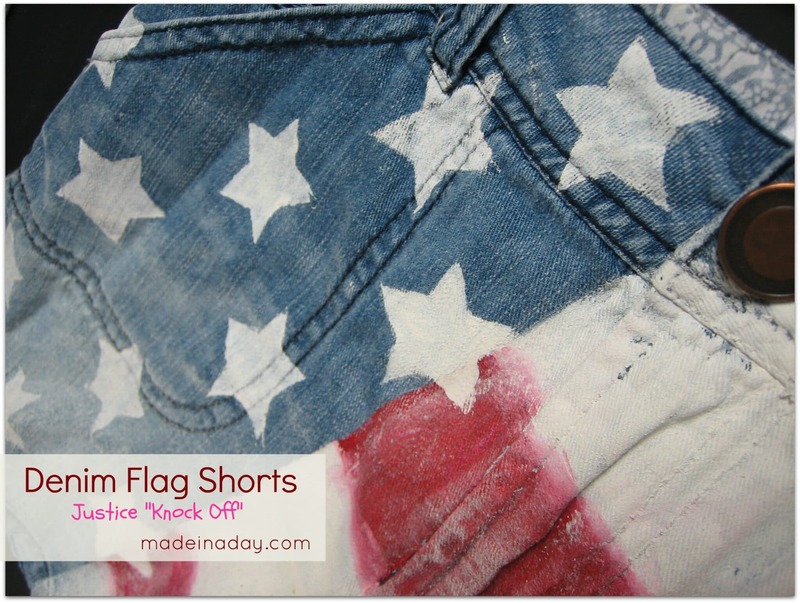 She found these cute flag shorts in her Justice catalog and asked me if I could make them. Well of course I am up for the challenge! Pin your shorts flat to the foam board to keep it stable while working on them. 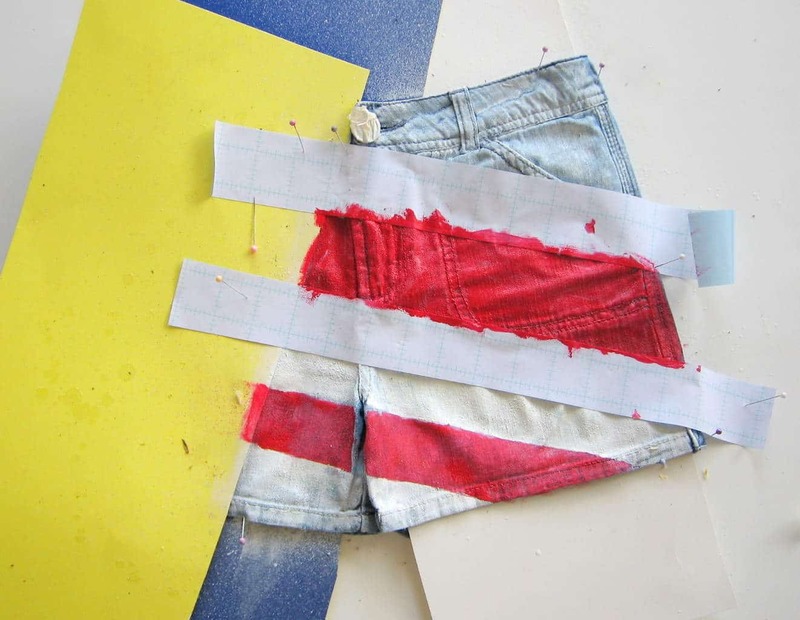 Cut two strips of poster board to fit inside each leg of shorts, so the paint will not bleed through to the other side of the shorts. 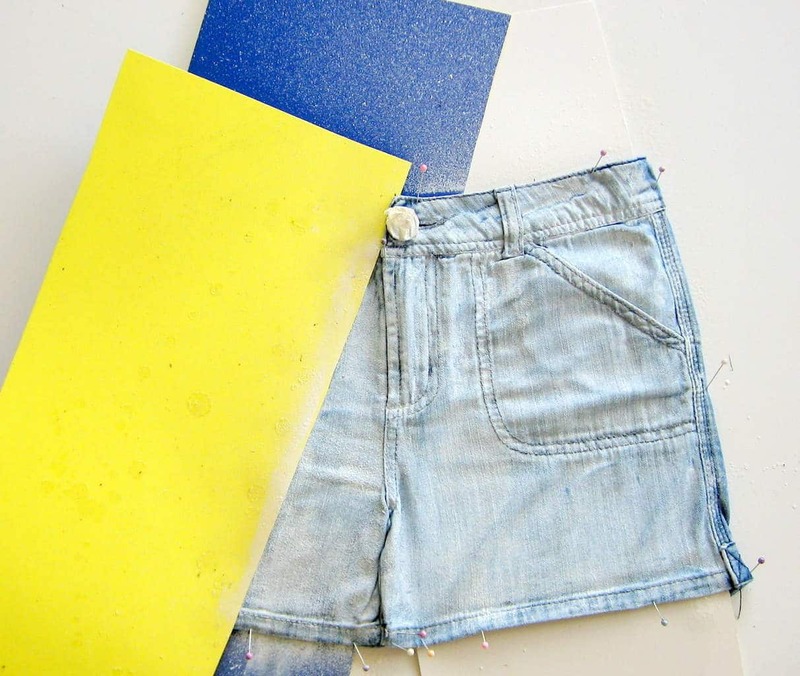 Take another strip of poster board (seen in yellow) , spray with spray glue and press diagonally onto one leg of the shorts. Make sure they are snug to the fabric. Now, let’s discuss paint~ Well I first thought I would use spray paint to get the airbrushed look that the Justice version has. That went on too tacky and very light in color. So next, I bought some spray can type fabric paints you see in all the stores lately. Did not love it~ if you read the package it does not spray in a fine mist but sputters out and makes a mess. Not sure why it is even advertised as a spray. You would be better off getting the tube fabric paint instead. I did not have any fabric paint on hand so~ I used plain old acrylic paint and it worked out great! Better than great actually! So back to the tutorial, after trying a few methods of paint. I used white acrylic paint with a sponge applicator and dabbed it on to make the white crisp. Let it dry for 15 minutes. For the stripes take a strip of the contact paper, (I left the backing on for strength), spray glue the strips to one side of the shorts. (I used contact paper because the poster board gets mushy and sticks to the fabric if you apply it over damp paint, believe me, I know). Make sure they are snug to the fabric. Paint the red paint on with a sponge. Remove the contact paper and touch up the stripes. Let the paint dry for 15-20 min. I then took white paint on a damp kitchen sponge and rubbed the red & white stripes to blur them. Print out a star from the PDF in the supply list to use as a guide. Cut a star out on duct tape sticky paper with an X-atco knife (I made 3 and reused them). Stick the duct tape stencil on the shorts, dab with sponge applicator using white paint. 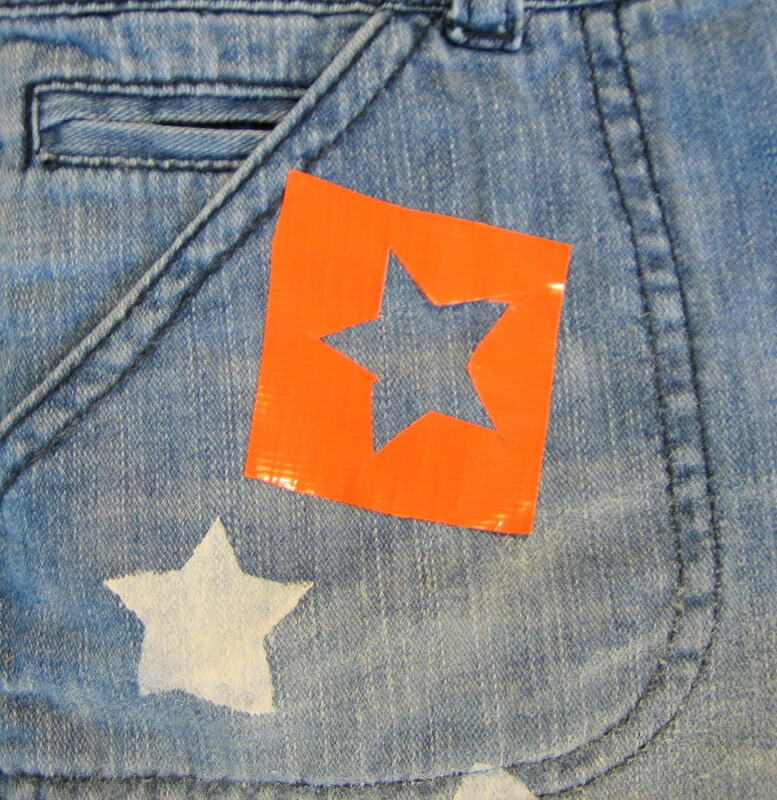 I also put two stars on the back pockets. When done painting let dry for one day. Since I used acrylic paint it will dry a little stiff. Guess what? I washed them and the paint stayed on. They are still somewhat stiff after washing. But my daughter doesn’t mind, and that’s it! 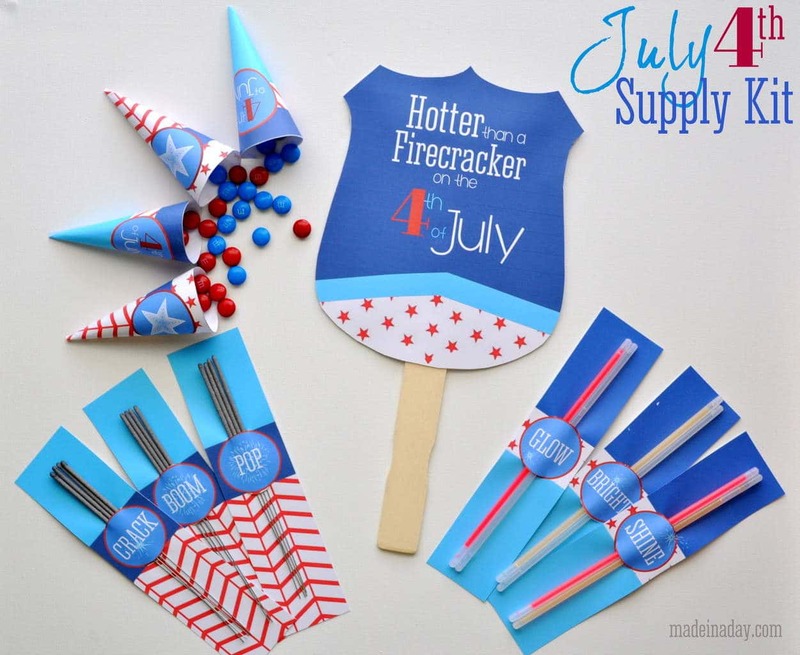 What a fun project and they are too cute for the 4th of July! These are awesome! 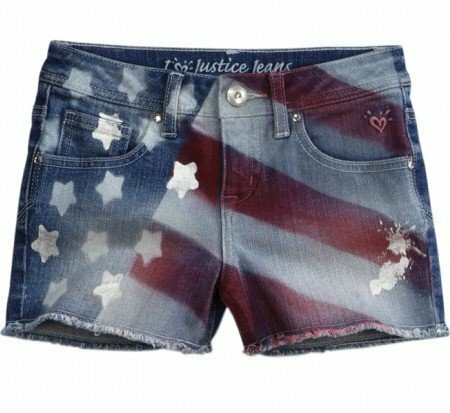 My little girl could totally rock these for the 4th. Thanks for the easy tutorial. Pinned! These turned out great! I love how neat they look! Well done! Great idea! I also like the chalk board frame used to display it!! You are so clever! That is a great project and the end result is fabulous. 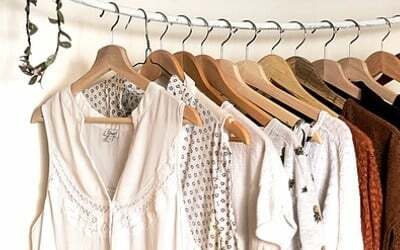 Thanks so much for sharing this post at my Say G’day linky party! I’ve just given this post a +1 on Google+. 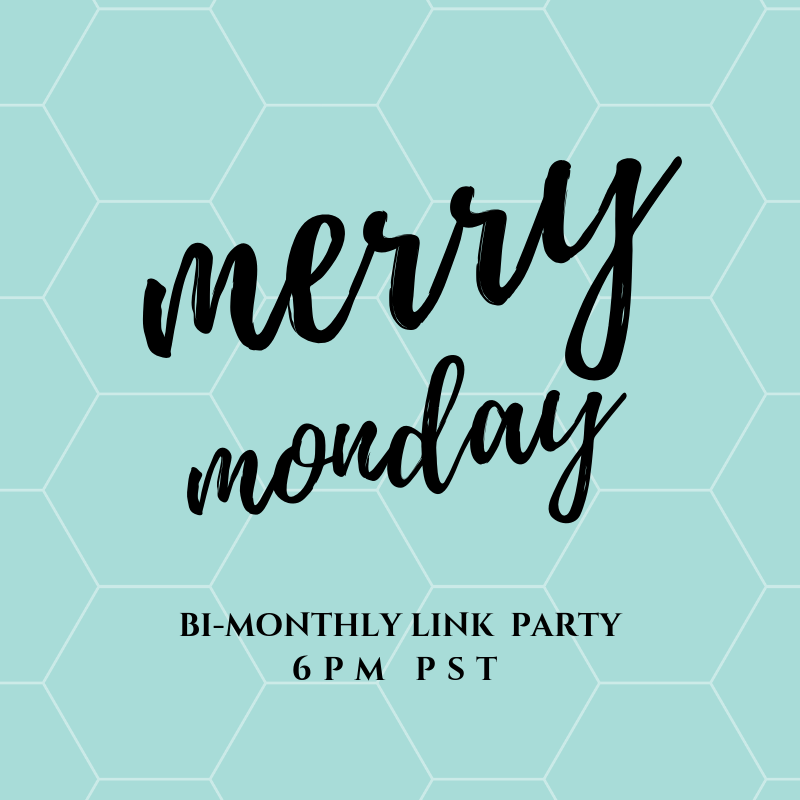 This week’s linky is now live and I am very excited to invite you to a Social media linky party that I will be hosting on July 14. 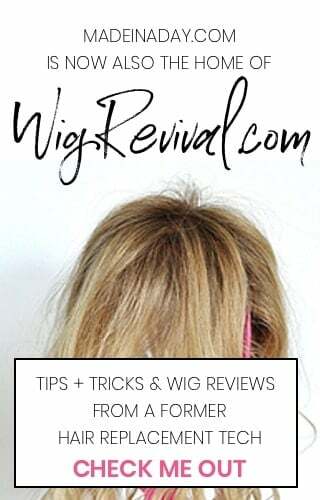 The details are all at the blog if you would like to join in. Woot Woot, I am dedicating tomorrows Thursday feature post to all things Americana, and well do I even have to say it, you are a big fat star with a triple feature at Bacon Time. 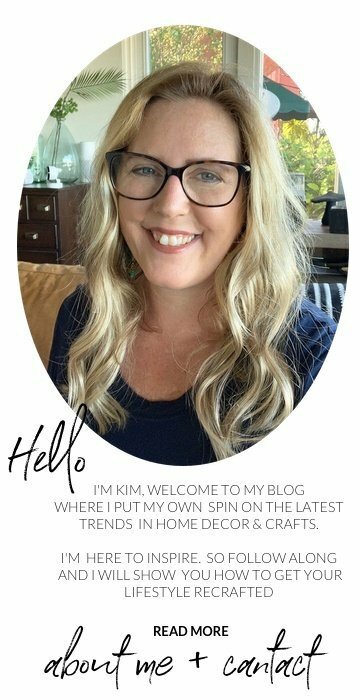 Thanks so much for sharing this at The DIY Dreamer.. From Dream To Reality! I’m looking forward to seeing you at the party this evening! 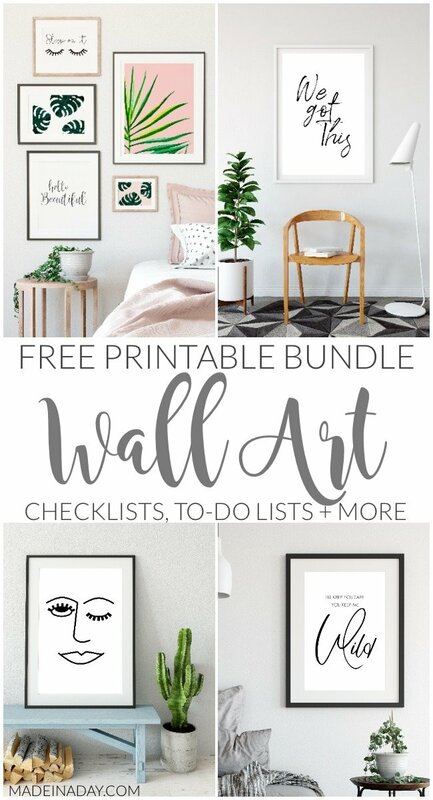 I saw these featured on DIY Mom and LOVE them! I had to see how you did it. A-DOR-A-BLE!!! Seriousy 🙂 Probably going to have to bust a pair out this week. These are soooooo fun!!!! Great job! 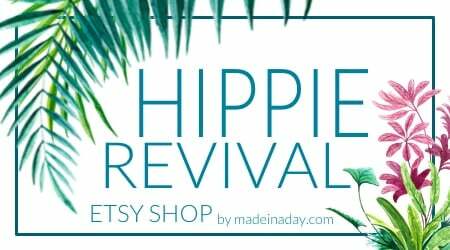 Thanks so much for linking up this week to DIY Diva Thursdays! How fun! and so patriotic! Thanks so much for sharing at Terrific Tuesdays. Those are so cool! Great rendition! Wow, yours are so much cuter! My daughter is 19 and she would love these~ I’ll have to show her. Thanks for showing us “how to”. I love it! I think your version looks better than the original! wow!! they look great! 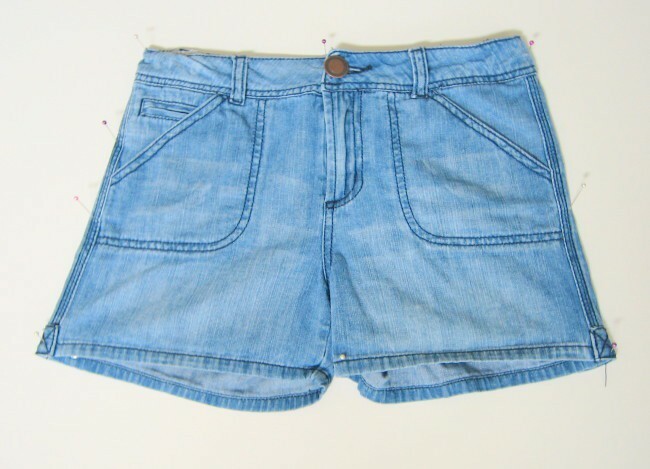 my teenager would wear them…that says a lot! 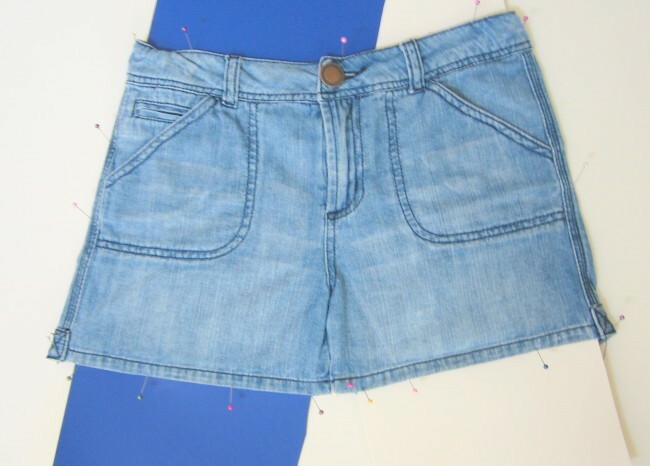 That was a great way to use the denim jeans, too! I think I will try it on some old jeans. Wow! These are amazing. I hope you will link up to my Patriotic Project Parade! Wow, these are so Kewl! Ha I was at the mall today and saw a pair for teens at Pacsun for $40! So I am sure you can make your own! Thanks for stoppin by!